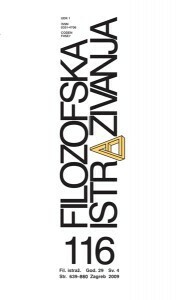 New book by Zvonimir Čuljak “Knowledge and epistemic justification” is published by Ibis grafika. 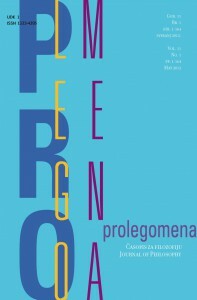 In the book the author discusses the most central and traditional problems of epistemology, a discipline that not only has an important place within philosophy but also in fields outside of philosophy. The book is composed of five main parts: 1. Truthfulness, belief and knowledge; 2. Sources, kinds and domains of knowledge; 3. Justification and knowledge; 4. Knowledge and justified belief; 5. Thee possiblity of knowledge. Every part is further divided into chapters. For more on the book see here (in Croatian). Zvonimir Čuljak is a full professor at the Department of philosophy, Centre for Croatian Studies at the University of Zagreb. 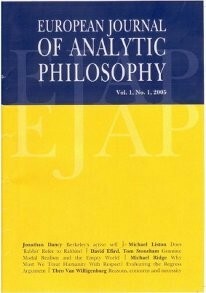 EuJAP is open to a broad spectrum of issues and viewpoints ranging from ethics, meta-ethics, applied ethics, epistemology, ontology, philosophy of language, philosophy of logic, philosophy of science, philosophy of mathematics, philosophy of biology, philosophy of mind, philosophical psychology and philosophy of action. 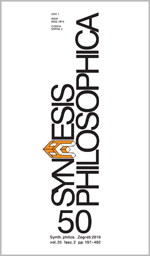 In particular, this journal aims at providing a forum for philosophical exchange among philosophers from diverse fields within the analytic tradition broadly conceived. Articles in history of philosophy are welcome provided that they have relevance for current philosophical debates. All authors working on issues in analytic philosophy (broadly construed) are invited to submit their papers.